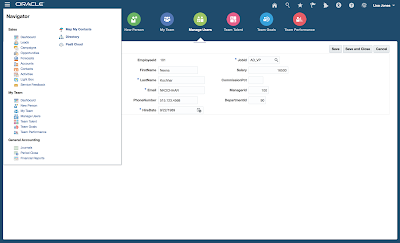 You should be familiar with AppCloudUIKit ADF application from - The Cloud User Experience Rapid Development Kit. 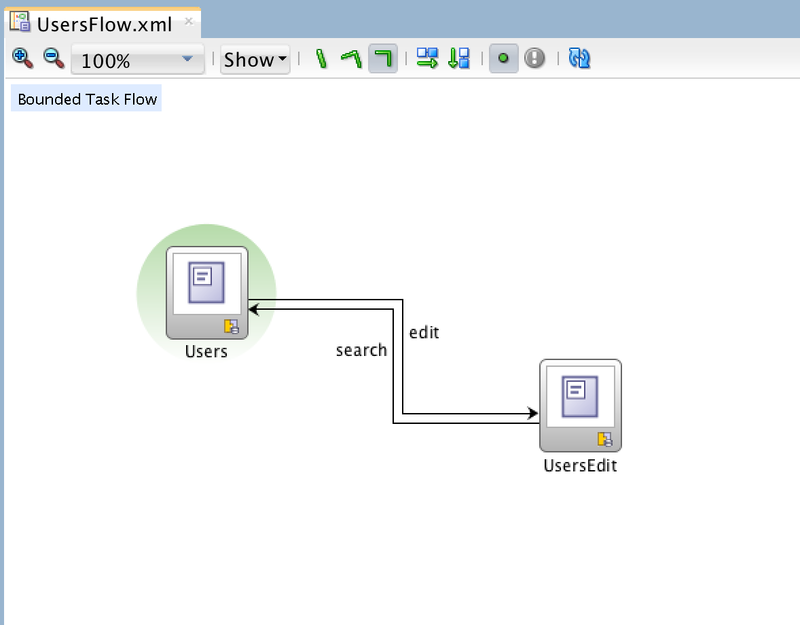 It provides a set of templates, components and sample flows to get you started with successful ADF setup. 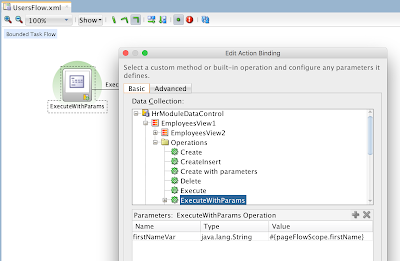 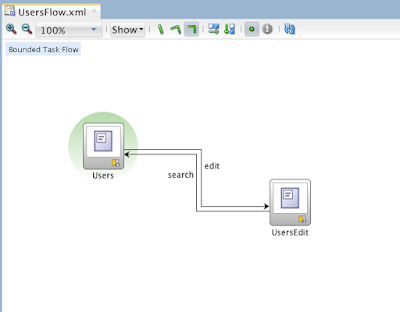 I will explain how to extend it, if you want to add extra parameters for the menu item, to be passed to the Task Flow. 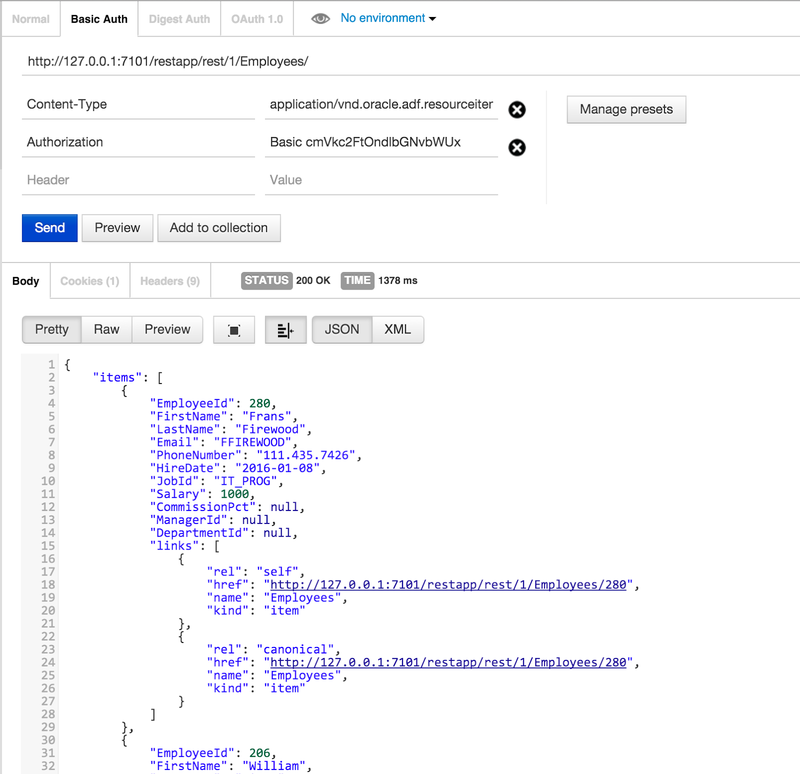 Download sample application (I have included only projects with changes) - AppsCloudUIKit_v2.zip. 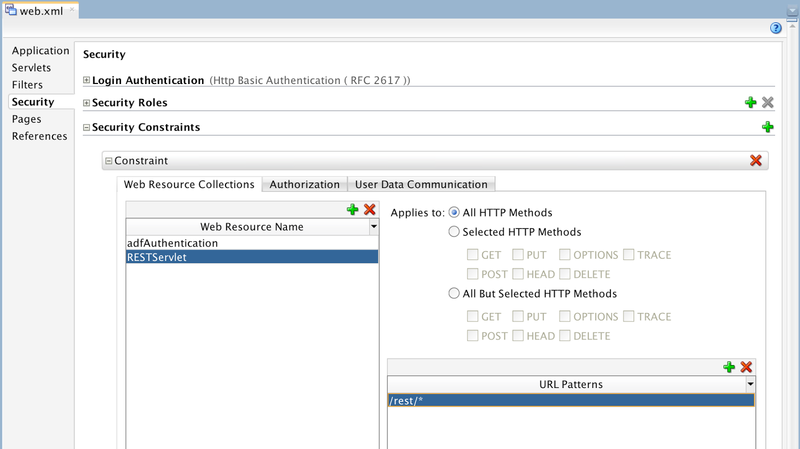 If you follow step by step ADF BC REST developer guide - 16.5 Granting Client Access to the ADF REST Resource, still you would not be able to implement basic authentication for the REST service. 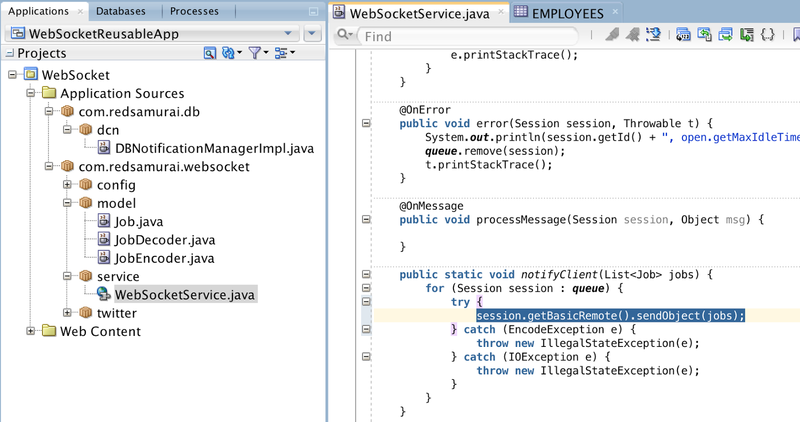 Thats because one step is missing, it is not described (and required setting is not auto generated by JDEV). 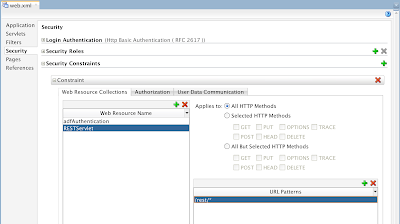 In order to enable basic authentication for ADF BC REST service, you should manually define security constraint (based on context root) for RESTServlet resource. Download sample application - ADFBCRestApp_v5.zip. 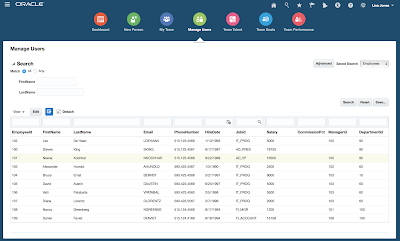 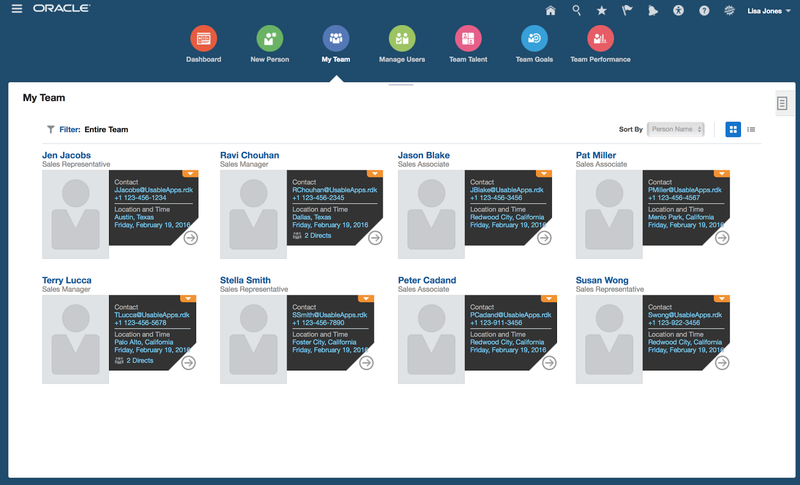 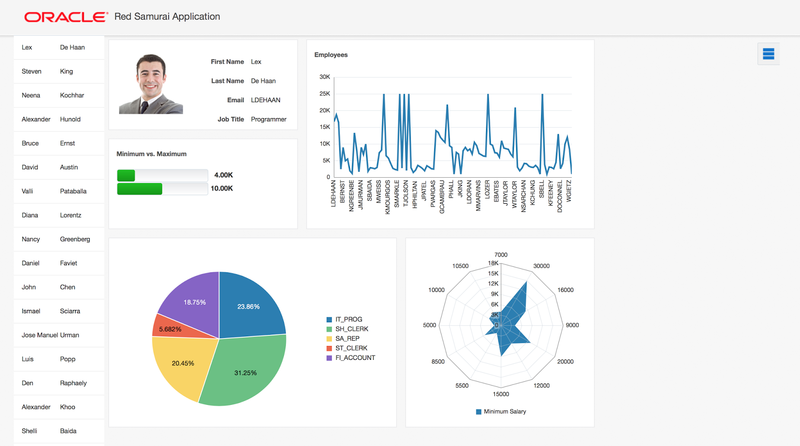 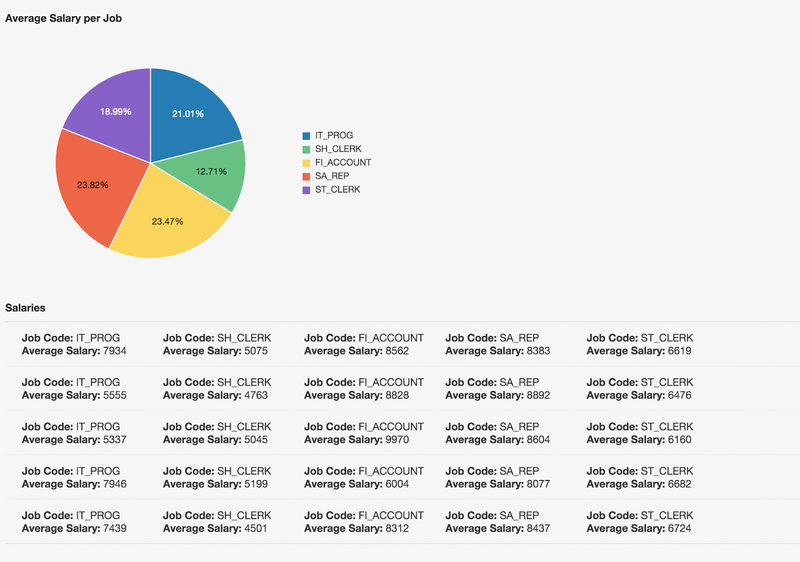 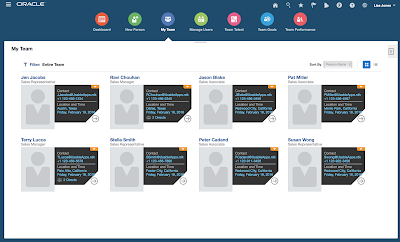 Oracle published new set of UI templates - The Oracle Applications Cloud User Experience Rapid Development Kit (RDK). 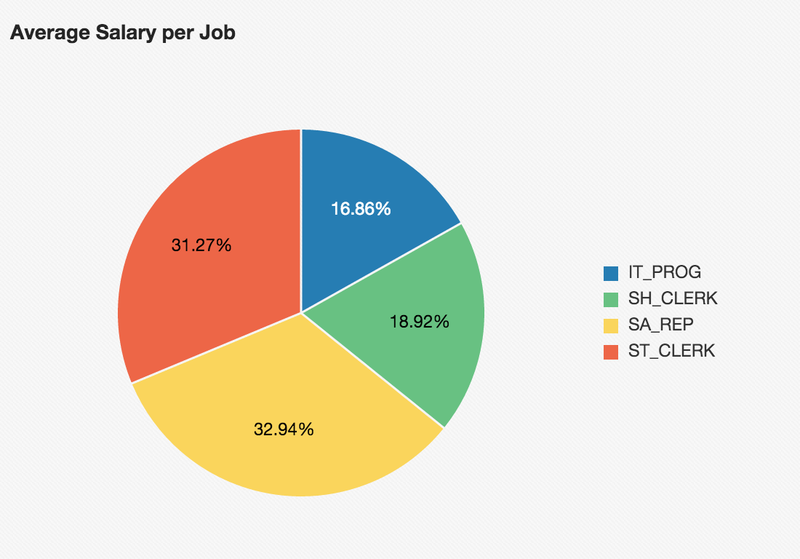 This includes methodology based on Oracle Fusion Applications experience and contains ADF source code. 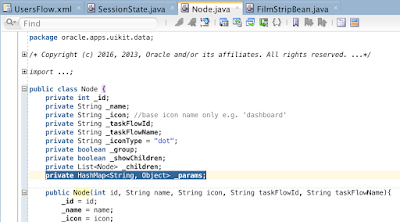 Kit is shipped with ADF application (download it from Oracle site), you could use it as a jumpstart. 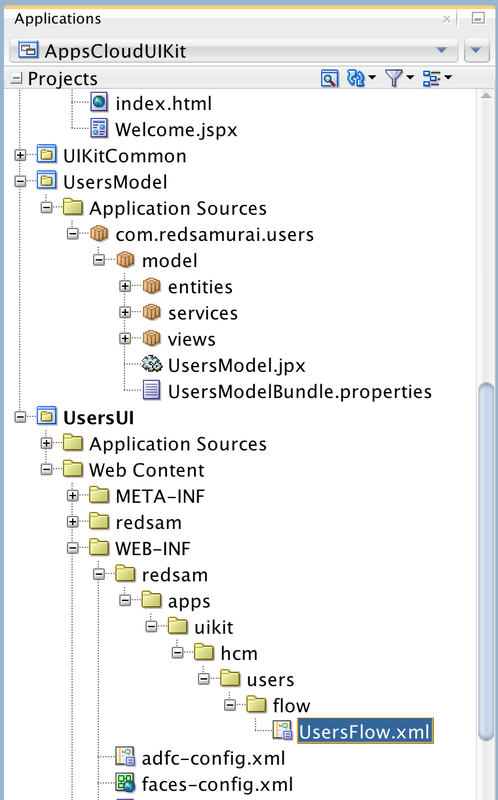 This could be next UI Shell. 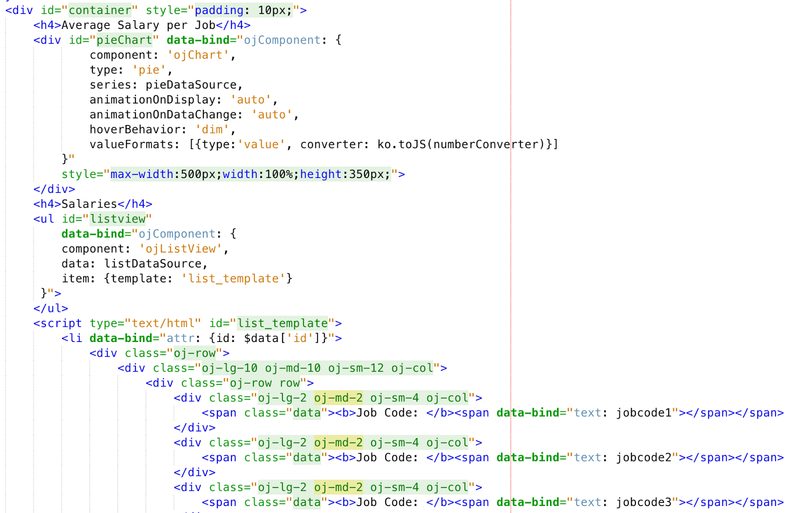 It is more than UI Shell, RDK comes with a set of declarative components (header/toolbar is one of them). 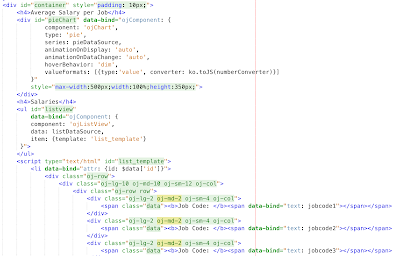 Download RDK application with my custom TF - AppsCloudUIKit_RS.zip. 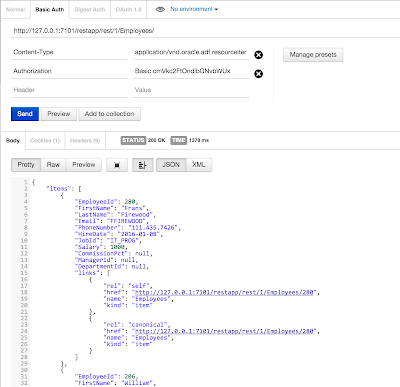 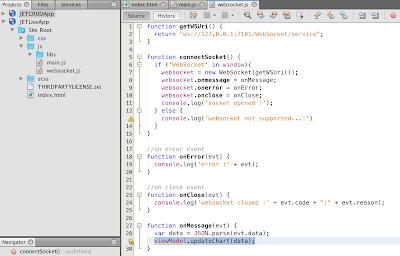 In this post I'm using JET/WebSocket integration solution described previously - Oracle JET and WebSocket Integration for Live Data. 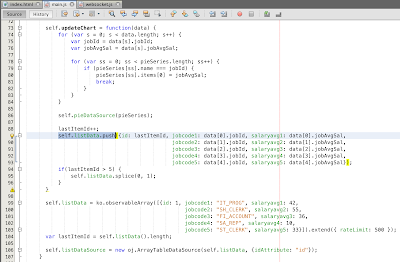 Technical steps for JET rendering in ADF are the same as in the post above. 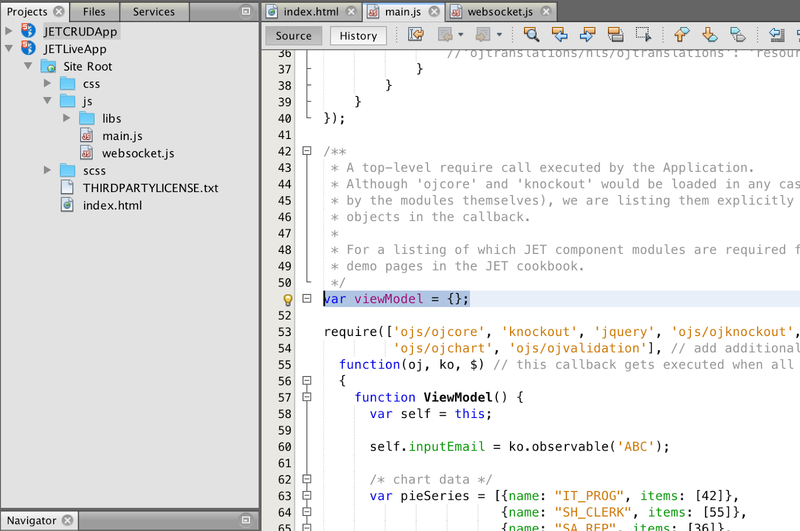 Download sample application (it contains WebSocket and ADF (with JET code) projects) - JETWebSocketADF.zip. 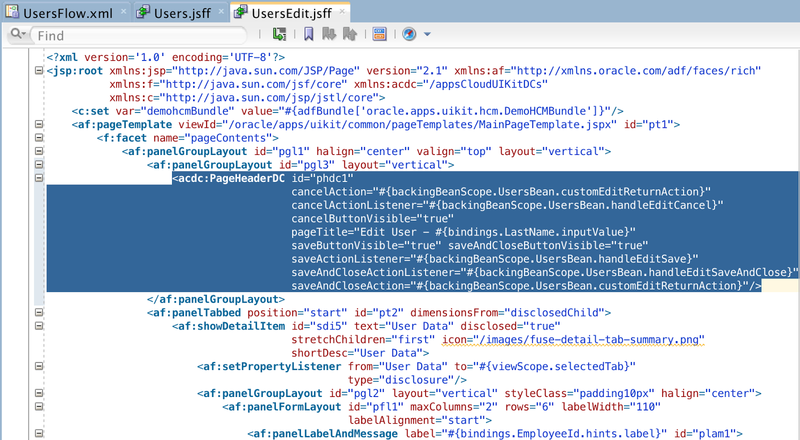 Currently Oracle doesn't support JET in ADF. 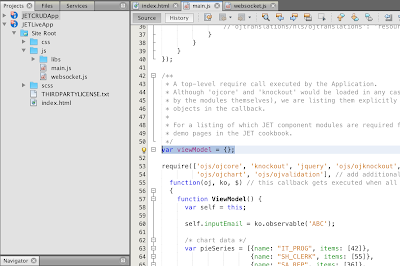 While JET can be rendered in ADF, you will not get official support through Oracle Support channels. 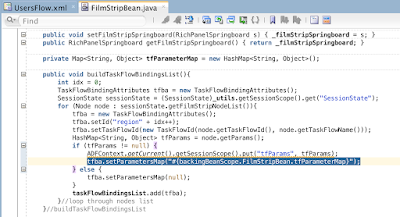 You may run into issue of session timeout handling. 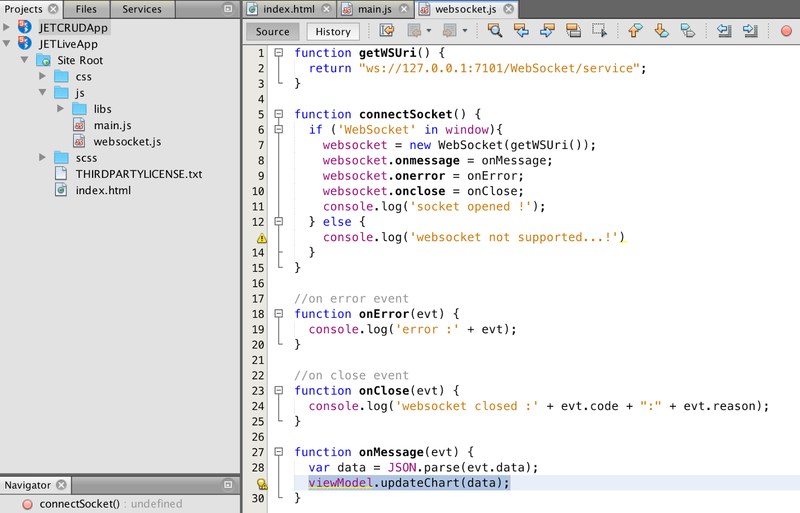 ADF page sends a "ping" to the server whenever there is interaction on the page. 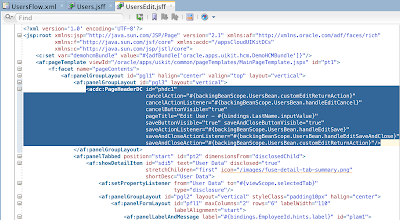 JET does not do anything of that kind, so if you are sitting on an ADF page, and only interacting with the JET portion of that page, there is nothing telling the server that you are still active. 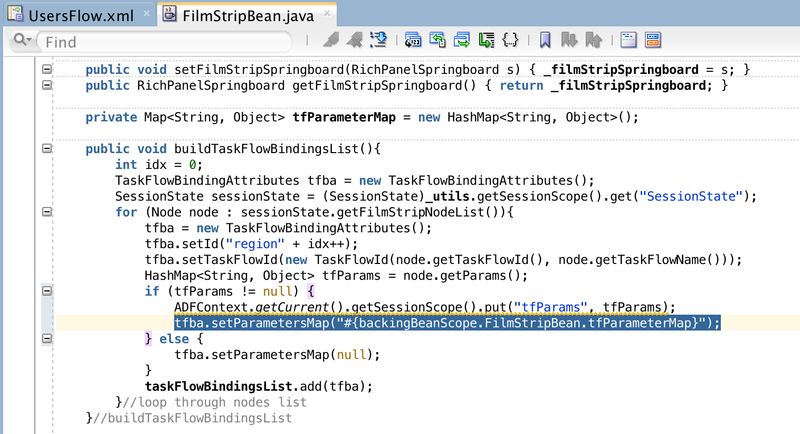 This could result in ADF session timeout, while user is still working with JET component. 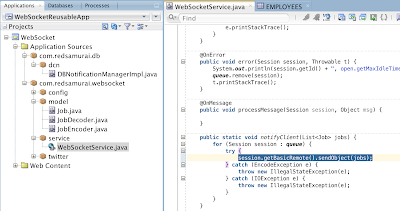 In practice this would rarely happen, especially if ADF timeout is set to be long, but you should be aware of that. 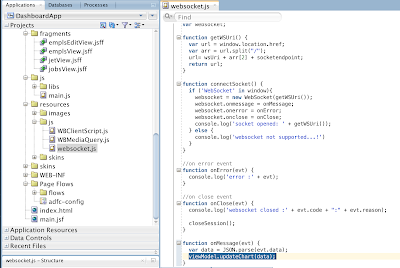 Download sample application - JETWebSocket.zip. 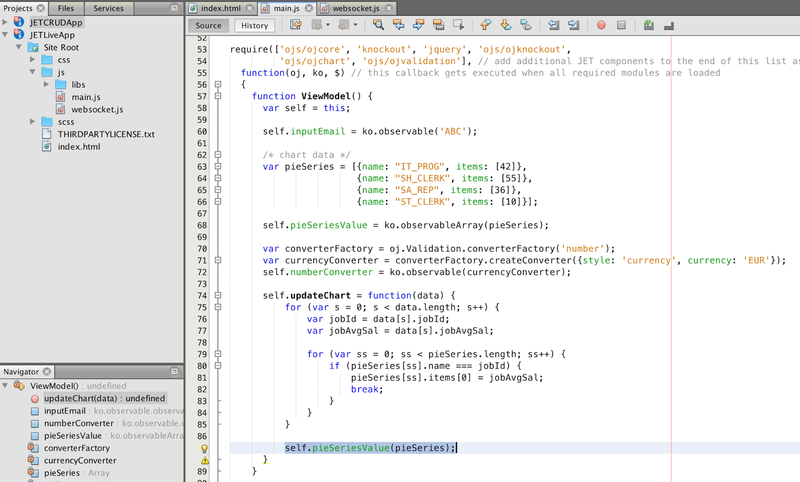 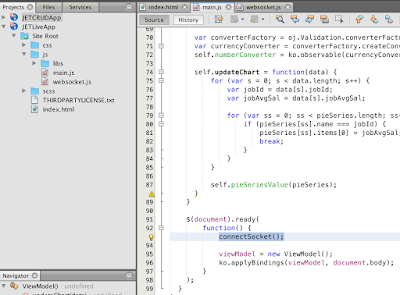 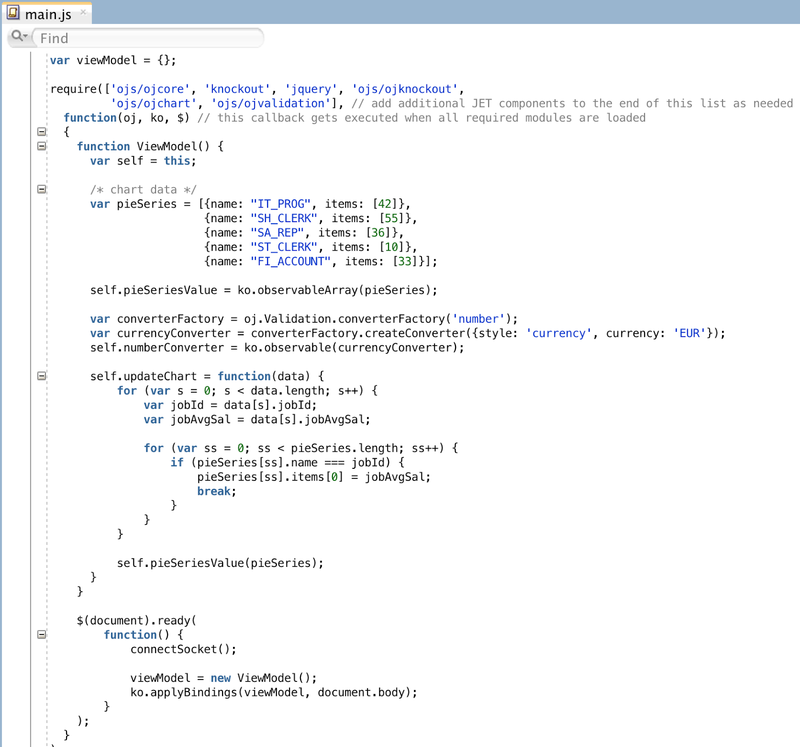 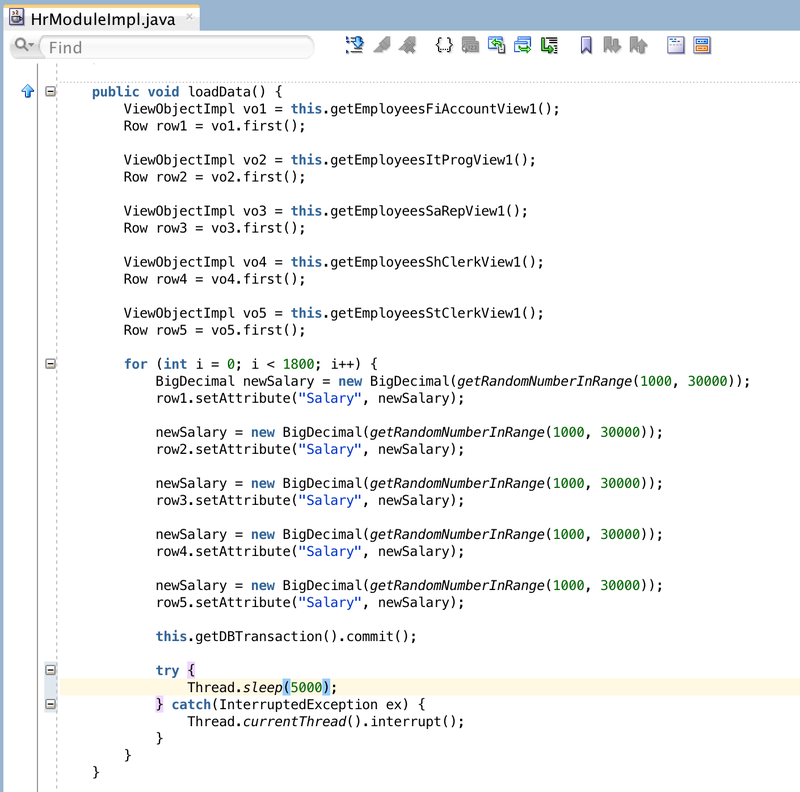 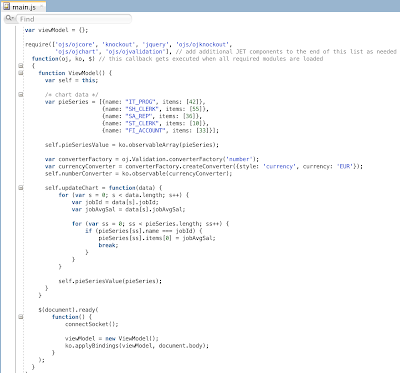 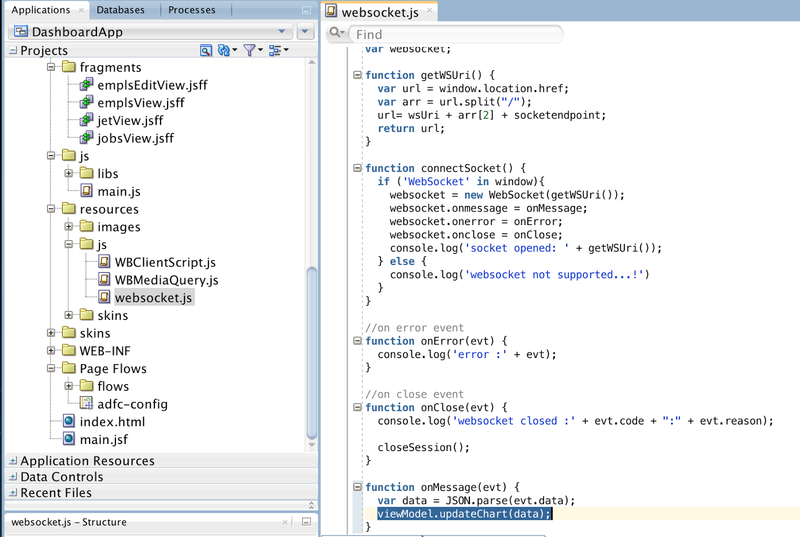 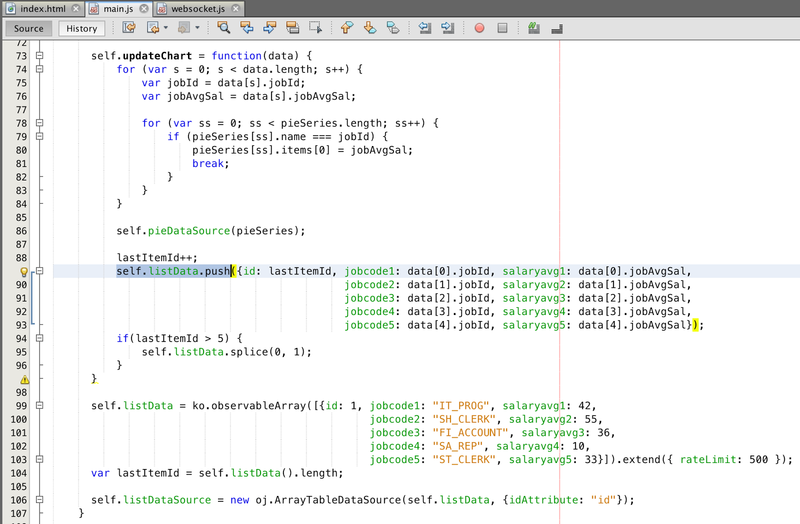 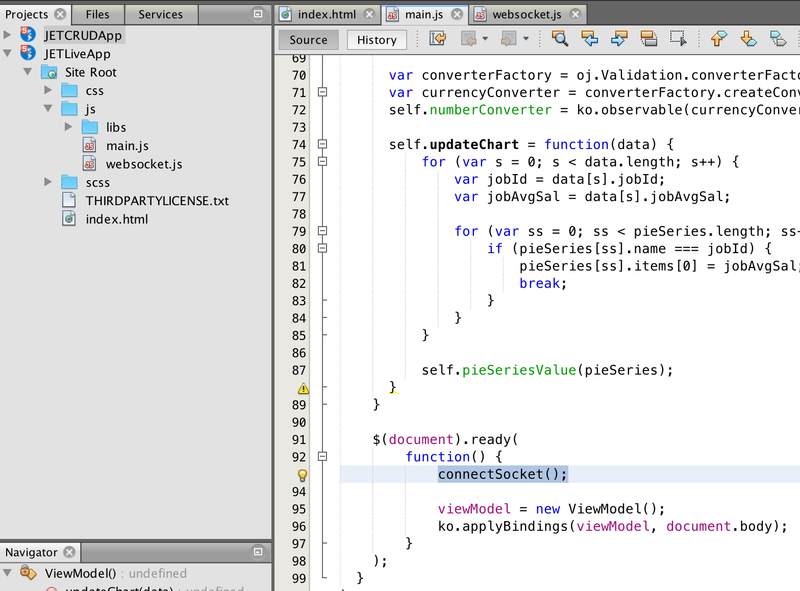 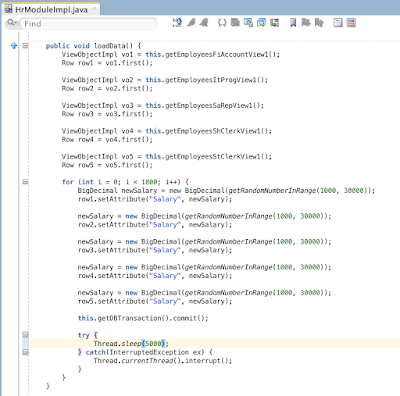 This contains both WebSocket application (implemented with JDeveloper) and JET (implemented with NetBeans).